AireMasters Air Conditioning is a full service commercial heating, ventilating and air conditioning contractor. AireMasters designs, manufactures and installs HVAC, plumbing, process piping, direct digital control systems and provides mechanical services. 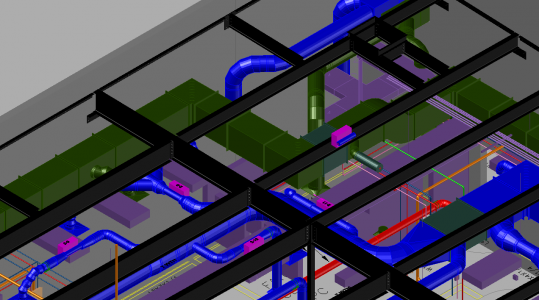 Whether your project is a tenant improvement, high rise office building, shopping mall, retail center, restaurant, clean room or computer room, AireMasters can design, build, install, service and maintain the HVAC systems to your satisfaction and needs. Our exceptional administrative and office staff are supported by our field staff of qualified technicians, engineering and design department, sheet metal fabrication shop and service and preventive maintenance divisions that emphasize quality and safety.